This is a Modeling Cutting Mat (A3 Size) Work area is 300mm x 420mm; approximately 12" x 16.5"
Cutting Mat (A3 Size) Squadron Products. Get the job done with the new Squadron Products cutting mat. Use the handy mat to cut styrene, decals, paper and tape. 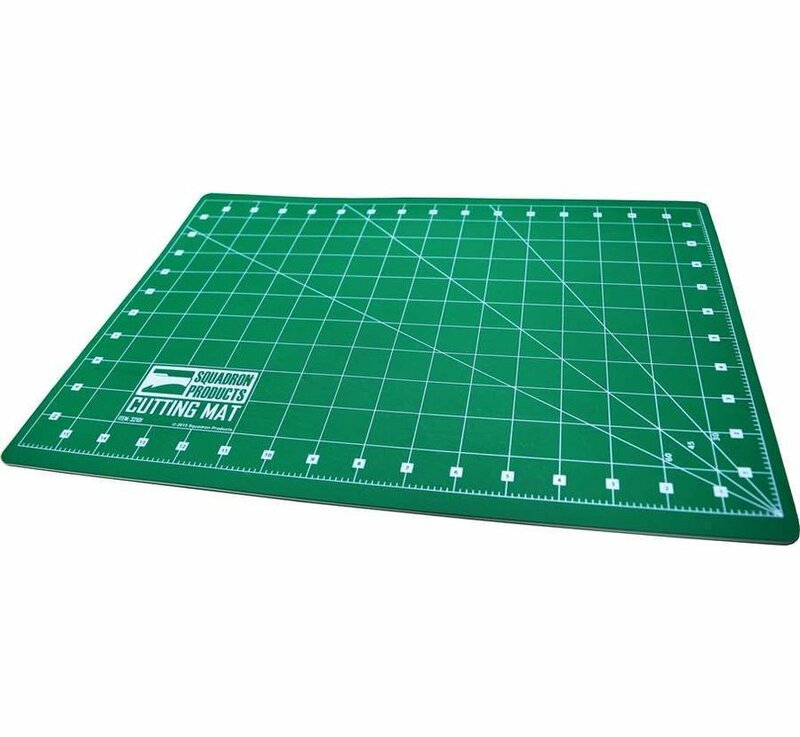 Double-sided mat is solid green on one side for general crafting and has grid lines marking inches on other side for detailed cutting. Self-healing finish reseals surface cuts, providing a continually smooth surface for all cutting projects. Work area is 300mm x 420mm; approximately 12" x 16.5".